Gurgaon is located at the northern plains of India and the climate is as same as Delhi. 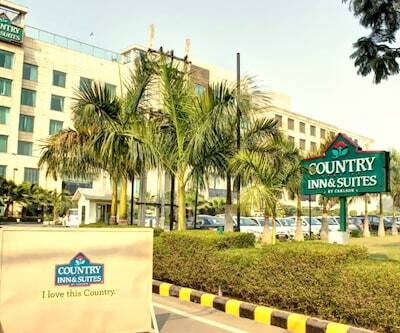 Travellers mostly visit Gurgaon in during early summers when days are comparatively less hot and rainy. 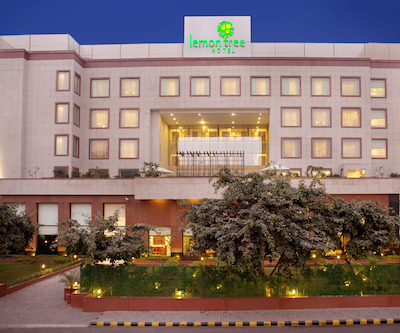 For the all the travellers the city of Gurugram is also compact with numerous 4 star hotels that throw the plush beauty of the city. 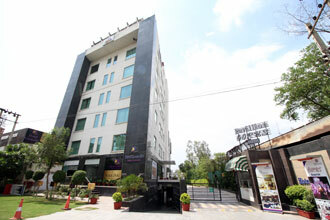 Hotel Park Plaza is one of the Best 4 star hotels in Gurgaon. The property features with all day diner facility which please the appetite of guests. Guests can recreate themselves at poolside bar and bar/lounge. The presence of luxury spa and a fitness centre rejuvenate you wherein one can enjoy a wide range of beauty, therapies and massage treatments along with a relaxing steam room. 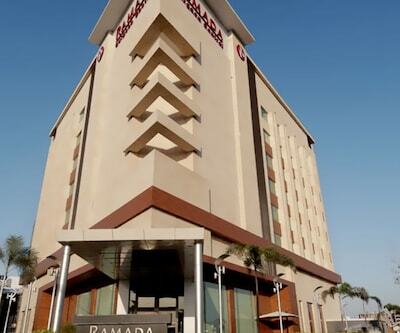 This hotel is 16 km away from Indira Gandhi International Airport. Patrons are offered with outdoor pool where they can swim and take a leap of joy, along with a health club, a fitness centre. 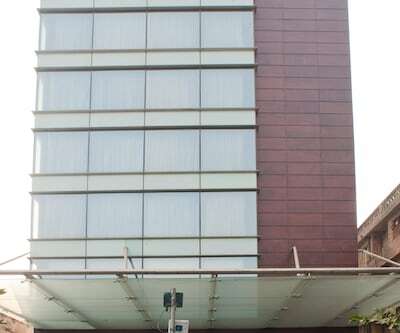 There are lavishly designed 198 rooms in the hotel which are classified as from Deluxe room to Executive Rooms to Premier rooms to junior suites. All these rooms are equipped with necessary amenities such as AC, safe, telephone and many more. Bathrooms feature bathtubs with handled showerheads along with makeup/shaving mirrors, bathrobes and slippers. Guests can avail the following activities such as round-trip airport shuttle, tour/ticket assistance and business services with minimal surcharge. 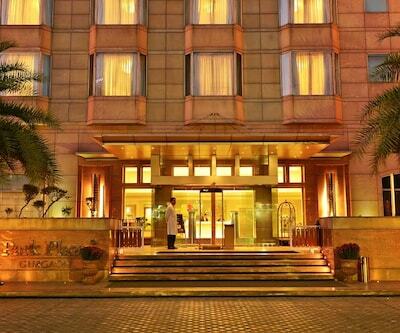 Famous tourist hotspots such as Cyber Hub, Ambience mal and mg road are located close to the hotel. 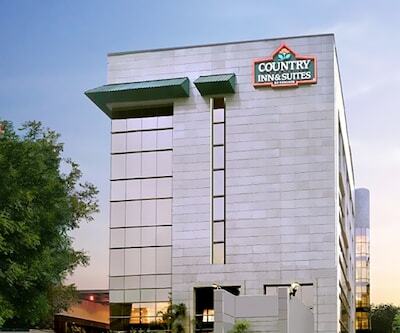 Country Inn & Suites by Carlson is among 4 star Gurgaon hotels which is situated at sector 29 in Gurgaon. 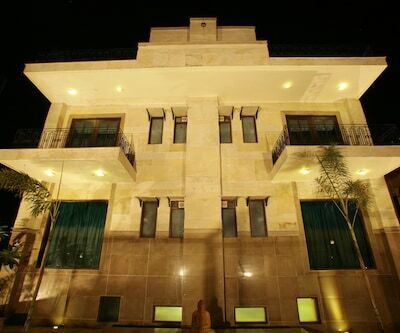 The property facilitates a world class accommodation with the blend of traditions stay. 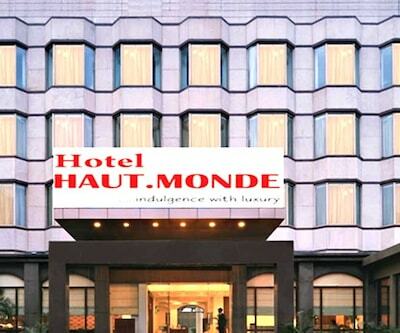 Guests in the hotels are offers with the best comfort and conveniences which please their stay. 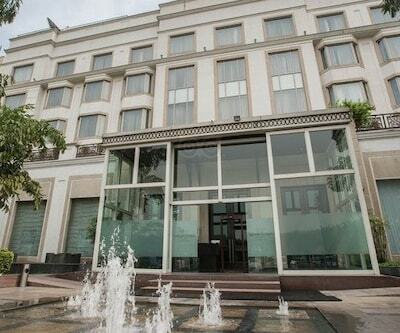 The hotel has rooftop swimming pool which is overlooking at the picturesque view of the city. Health conscious patrons can pump up their muscles at well-fitted gym. The rooms of the hotel are fitted with contemporary amenities such as LCD TV, electronic safe, hairdryer and coffee maker and many more. 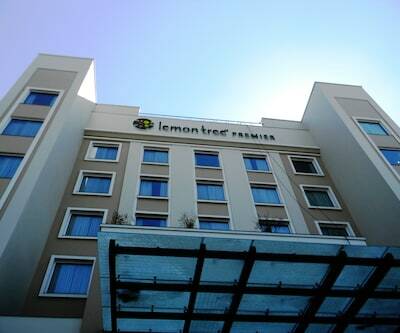 All these 44 well-equipped rooms are categorizing as Deluxe Room and Premium Room. ‘Mosaic’ is a multi-cuisine restaurant offering lip-smacking Continental cuisine. ‘Big Shot’ is offers an array of exotic wines and drinks. 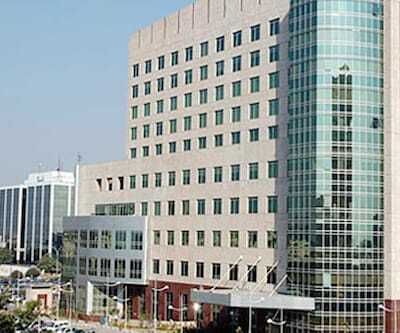 Hyatt Palace is among the 4 star hotels in Gurgaon which is situated close to Maruti Udyog Vihaar in Gurgaon. The property offer its guests warmth welcome and pleasing stay which make certain that guests get everything exactly the way they want. 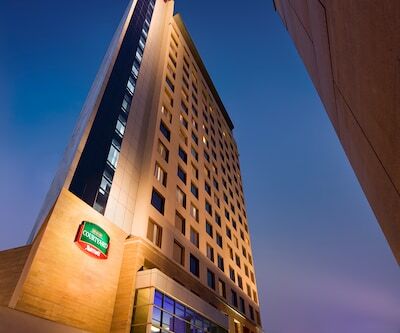 The hotel acquires 176 guest rooms that come with modern amenities catering to the need of the business and leisure travellers. The rooms are fitted with flat panel HDTV, cozy beds, clean linens, mini sofa, and tastefully designed bathroom. The rooms of the hotel are classified into following categories – Advance Purchase Offer – Hyatt Place Room (with sofa bed), Hyatt Place King/twin Room (with sofa bed), Hyatt Place King/Twin Room (No Sofa Bed), Hyatt Place Pool view King/Twin (No Sofa Bed), Celebrate with Hyatt King/twin Room, Celebrate with Hyatt Pool View Room and Advance Purchase Offer- Hyatt Place Twin Room (Without Soda bed). 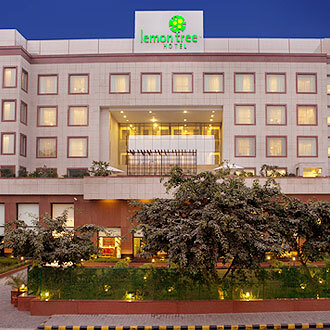 Guests can pamper their taste buds at 24x7 dining option along with a bar and coffee shop. 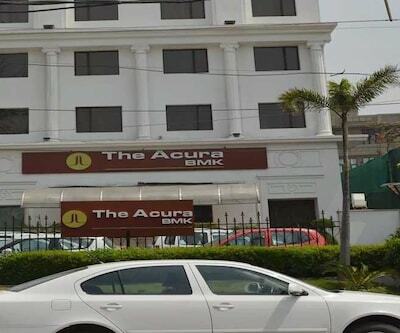 the acura bmk is one of the best luxurious 4 star hotels in Gurgaon. The property is a synonym of delicate welcome and a heart-warming relaxing stay. This hotel offers all kind of conveniences to business travellers and leisure travellers such as Wi-Fi, multi-cuisine restaurant, cozy bed for tight sleeps and clean linen considering the hygiene factor. 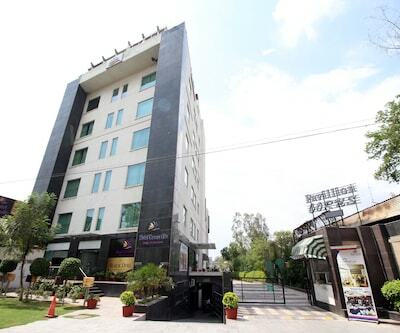 The rooms and suites are facilitated with facilities like hardwood floorings, lavish king size beds and attached bathroom with all essential toiletries along with mini-bar, safe and plush comfortable seating area. This luxury hotel also has an in-house dining option that serves world class delicacies during breakfast, lunch and dinner. Guests can recreate at – ‘Bourbon Street Bar & Lounge’ that serves exotic cocktails and moctails and more with soft music to unwind and relax. The Acura BMK offers its guests a rejuvenating experience at fitness equipment and a serene blue swimming pool. What are spa charges In Hotel CrossRoads? They don't have spa facility. 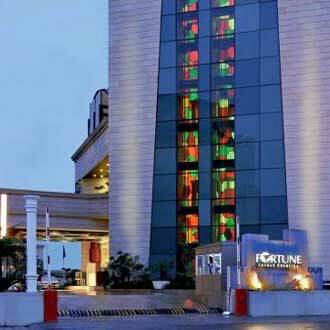 What are the timings of front desk in Fortune Select Global, Gurgaon?